This year Reformation Sunday is on October 28. 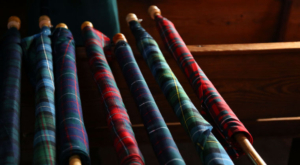 If you do not have a tartan to use at the Kirkin’ O’ the Tartans and would like one, please order one yard of tartan fabric, light or medium weight, in the pattern of your clan, from any one of the supply houses online. We will need the fabric in hand by October 3 in order to complete them on time. Kathryn Sellers will help prepare the fabric and arrange the mounting. See below for a few good supply houses.